The Blanco 80cm Double Bowl Inset Sink with Drainer NAYA8SK5 comes with Maximum bowl size, Designer wastes, Raised Tap Landing, Durability. 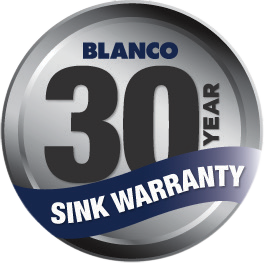 HYGIENE+PLUS: Like all SILGRANIT PuraDur sinks, the BLANCO NAYA8 features a unique patented hygiene protection formula that creates an antibacterial finish on the surface. BLANCO’s HYGIENE+PLUS not only shields against dirt and bacteria, the closed surface stays cleaner, without the need for abrasive cleaning agents. Independent laboratory tests confirm that the unique built-in hygiene protection reduces bacterial growth by an average of 98%. SILGRANIT PuraDur: The new outstanding properties and the advanced material technology of SILGRANIT PuraDur provides a composite sink which is exceptionally easier to care for than ever before. BLANCO holds nine exclusive patents for SILGRANIT PuraDur, which makes this material the only one of its kind in the world. SILGRANIT PuraDur consists of 80% granite, which makes it unbeatably resiliant, extremely durable, scratch resistant, heat resistant, unbreakable and acid resistant. Further confirmation of the outstanding properties of SILGRANIT PuraDur comes in the form of 3 quality certificates from the LGA Nüremberg, an independent, internationally recognised institute. Engineered in Germany: Elegant SILGRANIT Puradur design impreses with its timeless, straight lined bowl geometry which will suit all types of kitchen products and worktops. Durability: SILGRANIT PuraDur consists of 80% granite, which makes it unbeatably resiliant, extremely durable, scratch resistant, heat resistant, unbreakable and acid resistant. Maximum bowl size Due to the smallest possible radii of 15mm it allows for a large sink area and a modern classy look. 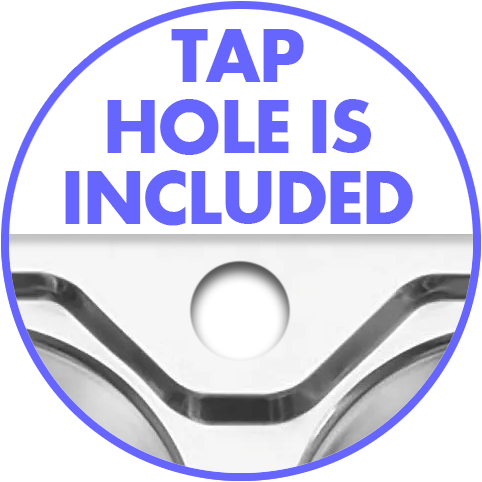 Raised Tap Landing: Further elevates tap from water and helps to prevent grime build up at base of tap.